Differin (adapalene) Gel is now at your local pharmacy! Differin (adapalene) gel is now available over the counter. This is great news since it means you no longer need a prescription for it. Also, the prices over the counter (e.g. at your local Walgreens or CVS) have been quite reasonable. Or you can purchase online also. So what is Differin (adapalene) used for? Differin is marketed for acne. It can be used in combination with other products or on its own depending on the type of acne you have and the severity of your acne. It is also particularly good for comedonal acne (eg whiteheads or blackheads) which other types of medications might not address. Differin is also a topical retinoid and as such it may be helpful for reducing appearance of wrinkles, and helping with skin texture and pigmentation issues. (You may have heard of using retinols for anti-aging.) There are a lot of topical retinoids out there though so definitely consult with your dermatologist if you’re wondering whether Differin is right for you. 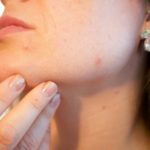 Are there side effects to using Differin? Also, if you are pregnant or trying to get pregnant, you should discuss with your obstetrician before using this medication (it is still a medication after all!) Many/ ?most will recommend that you stop your topical retinoid.